We get the most challenging projects done! Our capabilities span the range from traditional techniques to more unconventional methods. Glassblowing, casting, fusing, and slumping are some of the traditional techniques frequently used for creating many glass products. When common methods are not applicable and innovation is required we pride ourselves on developing new fabrication processes in house. Our projects frequently involve, not only producing glass components, but creating specialized equipment to produce them. Like developing a process for vacuum-forming sheet glass or building custom equipment for lapping glass prisms, we embrace the challenge of taking on projects others have turned away from. Hot work is a forming process in which we work directly with molten glass. For instance glassblowing, ladle casting, solid workin, pressing..etc. Glassblowing is a core Keer capability. Our craftsman have trained with Italian master glass blowers and have extensive experience working with artists and industry professionals. From traditional oven-work (casting, Pâte de verre, sagging bending..etc.) to innovative, cutting edge techniques such as high-temperature vacuum forming, we know the right process for your project. 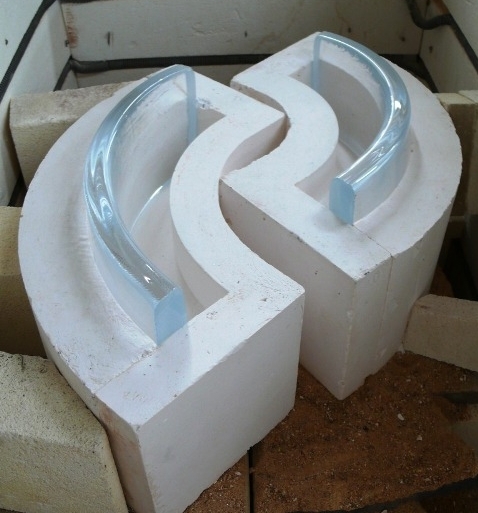 CNC machining with diamond tools is an efficient way to create precise glass components. At Keer we don't only work with glass we also make glass-working equipment. During the blowing process glass which has been gathered from the furnace cools down and periodically needs to be reheated. 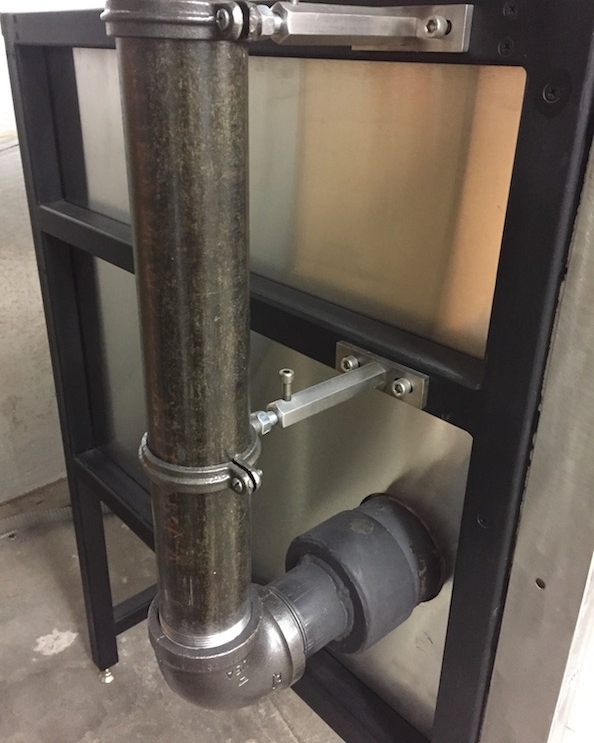 This is a small glory hole used for reheating glass when it gets too cold to manipulate.